Coming Soon New Vintage Cabernet Sauvignon, Petite Sirah, Cabernet Franc. Made by award winning and only Filipino wine Maker in Napa. First Come First Serve, we are making only 100 cases each. 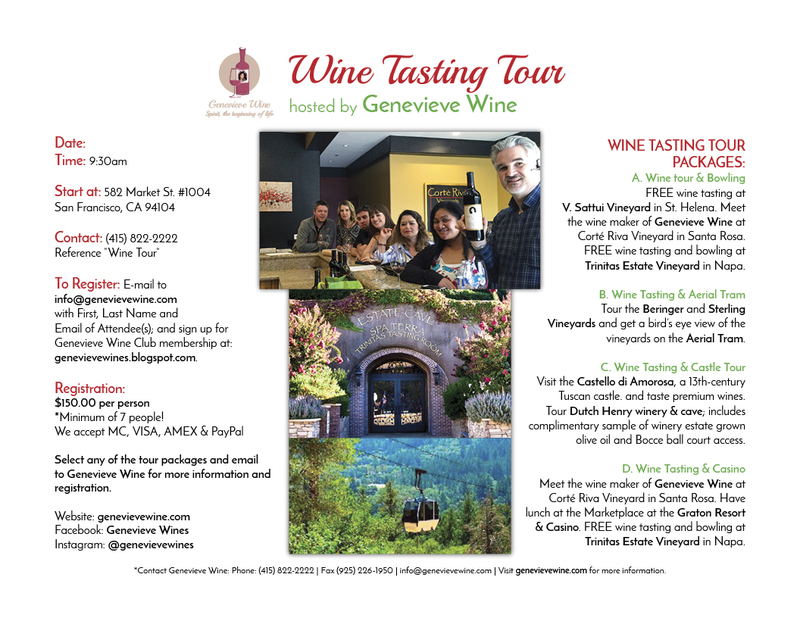 Join the Genevieve Wines Club and get a FREE bottle of premium wine and great benefits!